When you write about yourself and your family, there is a risk. In this era of rudeness, it is hard to predict not only what people will say about your work but how they will say it. I wrote a book about my parenting mistakes in the face of sudden, inexplicable changes in my much-loved eldest child, as she fell into a world of drugs, alcohol and self-harm. I agonized over the writing. It took years. Afterwards, I went through the pre-publication process—collecting editorial reviews, statements from professionals in the field, and tapping early readers from a variety of backgrounds. Bolstered by largely excellent reviews, I moved forward. The book is not for everyone, but some people loved it. After publication, readers wrote me heartfelt letters, thanking me for describing what can be a long, lonely arc in parenting filled with difficult decision points. They sent me pictures, shared their stories about drug abuse and mental illness, and promised to update me on their outcomes. I tried to respond to everyone who reached out–after all my purpose was to create community around teen addiction and dual diagnosis. Some people liked it. It resonates with parents who are faced with a whole spectrum of challenges with their kids. Many of these parents have experienced the shame, determination, and hope that keeps us going when our kids make terrible choices. A few people didn’t care for it. Some couldn’t relate to the story. Others didn’t like the use of foul language from the teen protagonist. One reviewer didn’t like the dual narrative; the book is told in the voices of both mother and daughter. That’s okay, even normal I guess. That’s why we write reviews—to express those kinds of opinions. It’s instructive, and it helps other readers make purchasing decisions. I was disappointed to see my first two-star review the other day but also curious, since I’m writing again and eager to hear from readers. The review started out legitimately. It found the book “too long.” It is long, at 302 pages. That’s three pages longer than my editor suggested. Readers, and, in particular, book groups, are more prone to purchase books under 300 pages. This reviewer wasn’t “impressed.” Oh, I thought, she found no connection. But two stars? It was here that the review turned personal. The reviewer pontificated about my parenting, claiming that my daughter’s mental illness and drug use was due to parental neglect and my lack of humility. I didn’t really understand this claim–did this reader skim? Didn’t she read the preface, where I acknowledged my many mistakes? Or the bit where I expressed my hope that my missteps would help other parents make better decisions? Didn’t she know anyone in a good family whose kid strayed fast and far? I took a deep breath, but found myself unprepared for the end of the attack, which said I had “poisoned” the people around me. The reviewer prayed for my children, especially the youngest, who’s emotional issues are only touched upon in the book. I had promised my youngest girl to leave her out of the book as much as possible but had alluded to her symptoms to give as full a family picture as possible; parents or health professionals with children on the spectrum would have recognized my description right away. (Ironically the reviewer seems to be in social services.) My fault I guess, for not revealing more. Still, poison? I blinked back tears, angry at myself for letting this review get to me. If the review had been on paper, I could have torn it up, burned it, balled it up and put it in the trash. If it was private, I could have invited the reviewer to coffee to learn more about her violent reaction to my story. But it was electronic, and public, and will live forever; and so I decided to try to learn something. Here are my thoughts, for reviewers and writers of all genres, but especially memoir. Memoir is an extension of self—you are not reviewing fiction, this is a life revealed. Writers are human. Bad reviews sting. Don’t name call–you’re better than that. Writers don’t expect everyone to enjoy their book. But isn’t it fair to expect civility? Your casual or clever comments should be fair and supported by examples. Acknowledge that your lack of connection, knowledge, or even interest in the subject matter may have skewed your review. Similarly, recognize if you have been triggered. If a book isn’t resonating with you after you are halfway through and you’re fighting to get through it, walk away. It’s not a battle. If you feel you have captured your truth, don’t worry if others believe it. Accept that not everyone will be a huge fan. That’s okay. Maybe they’ll like your next book. Acknowledge that you can learn from a well written, well supported bad review. Know that some reviewers may try to make their own mark by tearing down your efforts. They may be more concerned with witty alliterations or puns than a sincere reading and representation of your material. 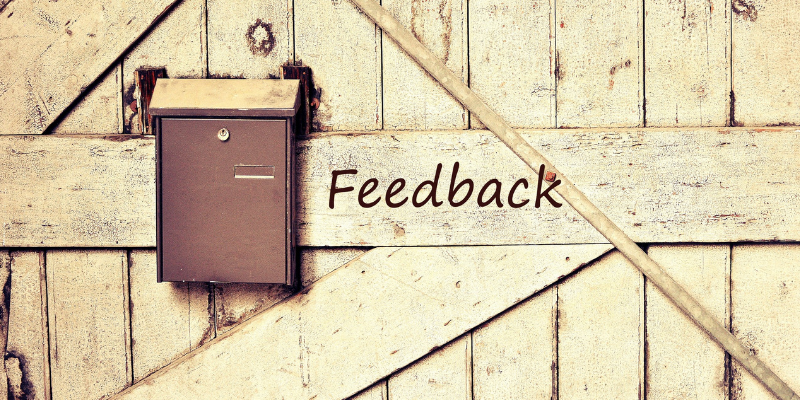 Don’t answer or comment on vile or personal reviews. Trust that your readers can see that the review is unfair. Finally– and this one I’m unsure about–stop reading reviews. It’s incredibly difficult to write honestly and lay yourself bare to attack. I believe that even if readers don’t like a book, they should respect the risks the author took. In the end, I can only thank the reviewer for her prayers, which I hope are as sincere as her passionate hatred of my book. 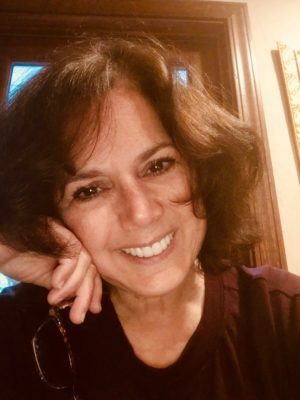 Susan Burrowes is a presenter, teacher, trainer, and project manager who holds a Master’s Degree in Communication but took enough time out of her studies to produce the two extraordinary, challenging children who continue to define her life . Her career spans fifteen years in advertising, eight years teaching in the college classroom, and another ten years training professionals in organizations how to communicate with each other, an irony that was not lost on her as she struggled to reach her daughter. Susan currently works with a team of high-achieving young adults in the Admissions department of the University of California, Santa Cruz, where she ponders the question of teen success on a daily basis. She writes about the strength and determination of troubled teens and special-needs children. 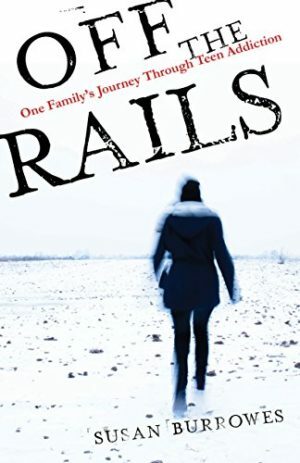 Susan Burrowes is the author of Off the Rails: One Family’s Journey Through Teen Addiction. She enjoys hearing from (most) readers at susan@susanburrowes.com . Follow her on Facebook at Susan Burrowes/Author. Thank you, Susan. I like the suggestion, “trust that your readers can see the review is unfair.” I like giving the reader their own thinking on these things. A fabulous book, resonant and real. Susan, thank you for taking such a huge risk and putting your very personal struggles and assessments of your life out in public. I learned from your memoir and was deeply moved. Thank you for reaching out to reviewers; in this internet age it is too easy for people to become removed from the civility they might extend to someone in person. And I agree, it’s best not to read reviews. By the time the book is published, you already know its sgrengths and weaknesses and whatever you learned about your writing will be a tool in your future work, not past.